Copper crystal and cobalt blue chandelier earrings. These earrings are 3 1/2 inches in length and 1 1/2 inches in width. 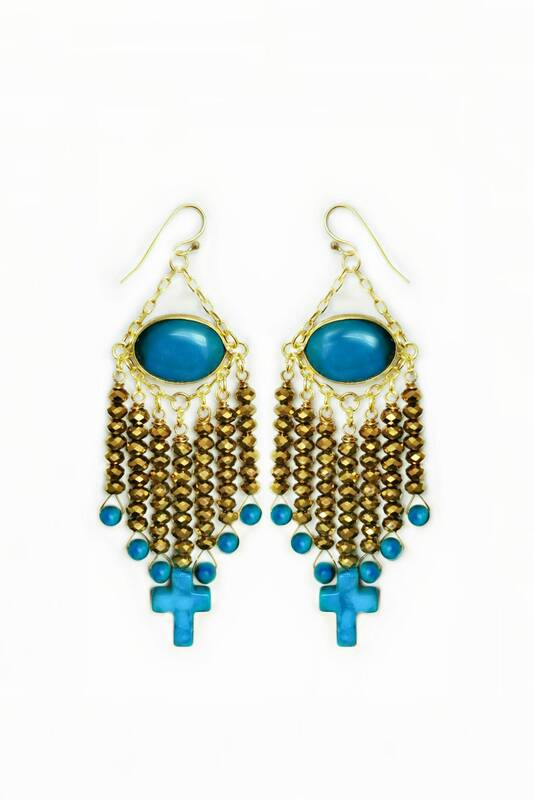 The cross in these earrings is carved Howlite. They are light in weight and comfortable to wear. These shimmering earrings are perfect to wear with jeans or an evening dress. The earrings are also ideal for gifting!! !